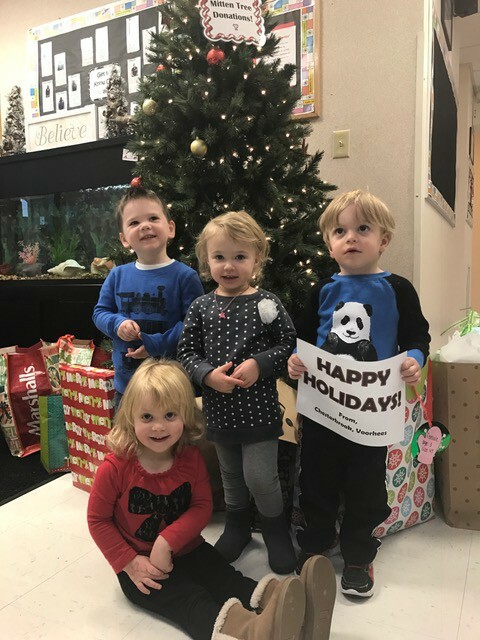 On Dec. 15, preschool students from Chesterbrook Academy presented a donation of holiday gifts for children in need to Center For Family Services’ Head Start program in Camden. 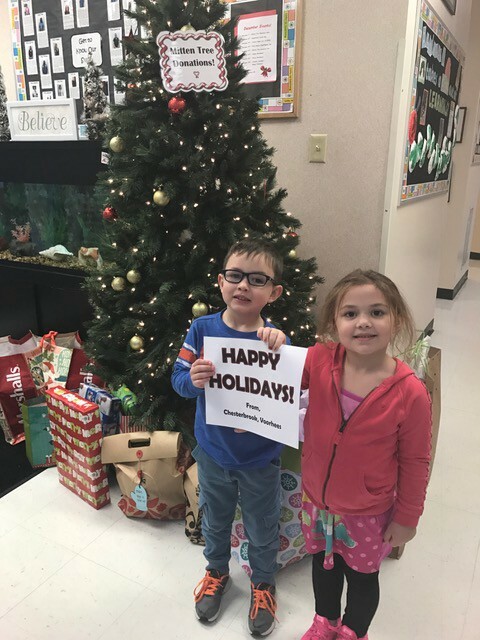 Since the beginning of December, students, parents and teachers collected clothes, toys and other gifts to fulfill the wishes of 32 children in the Head Start program as part of their mitten tree project. Students have been learning the importance of helping others and giving back during the holiday season.